Use larger size food processor, with steel blade in. Add flour, salt, cold shortening. 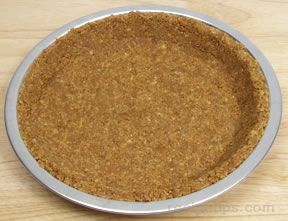 (I put Crisco in freezer short time) Put lid on and process with on and off until mixture resembles small crumbles. With processor running, quickly add water through feed tube. 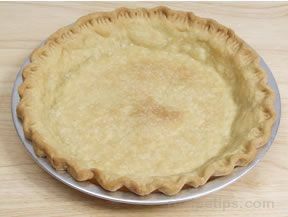 Stop when enough water has been added till dough is just moist, scrape dough off of sides, put lid back on and pulse again just to get all the flour moistened. 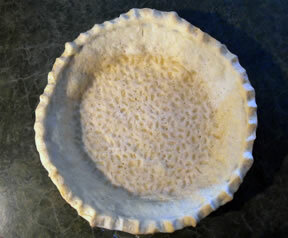 Take out and roll out as regular pie crust on lightly floured surface. This makes 2 crusts.